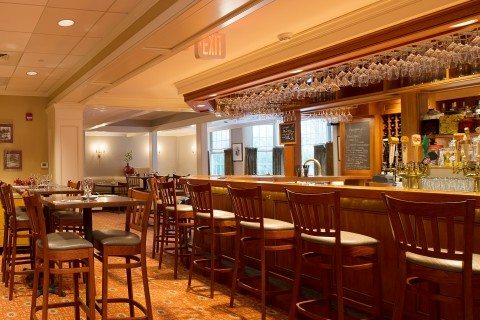 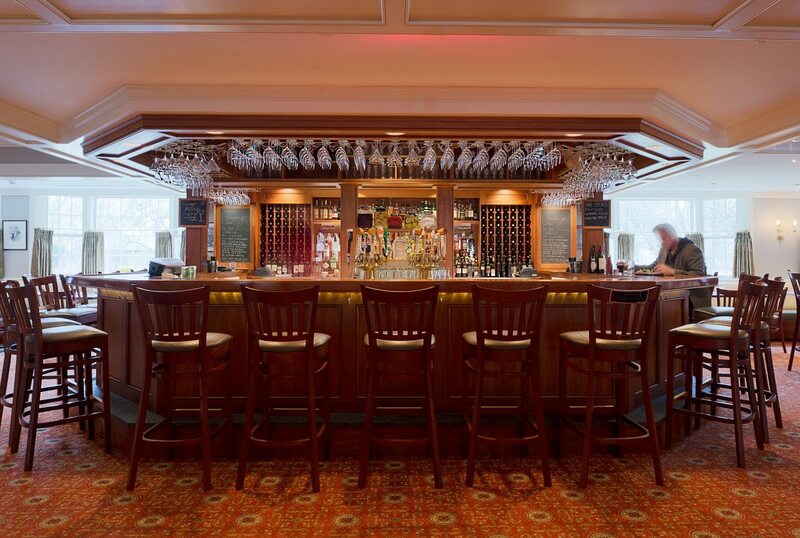 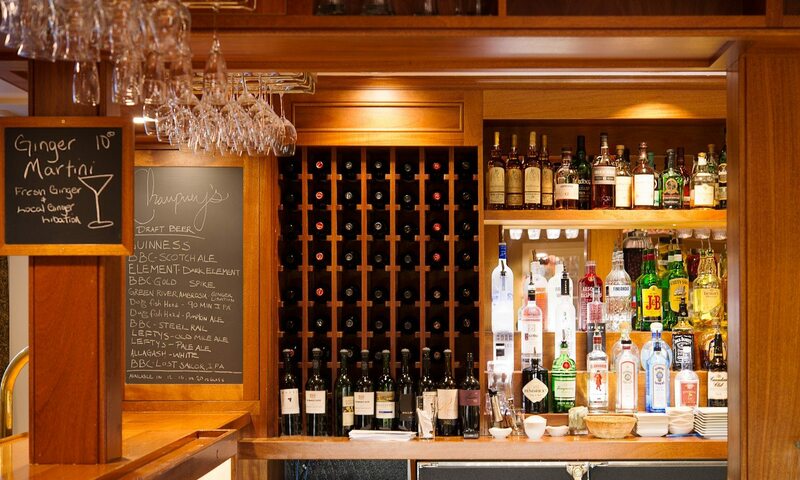 Deerfield Inn underwent a major renovation after being flooded by Tropical Storm Irene. 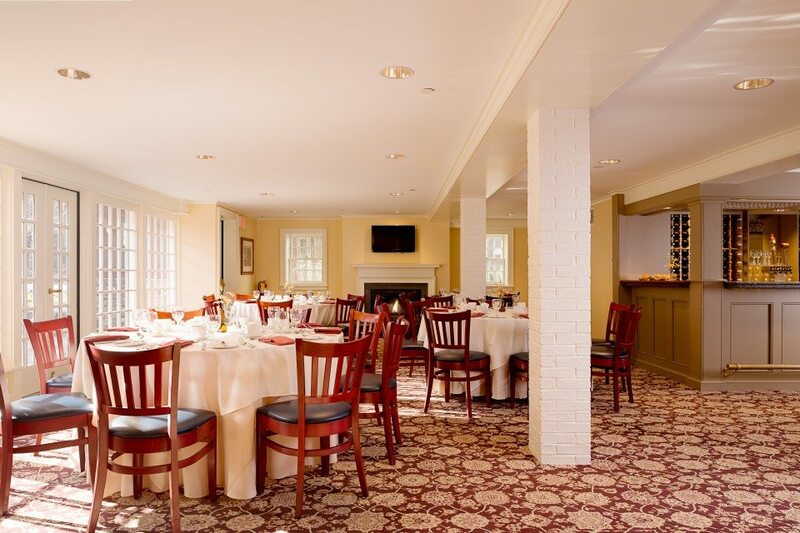 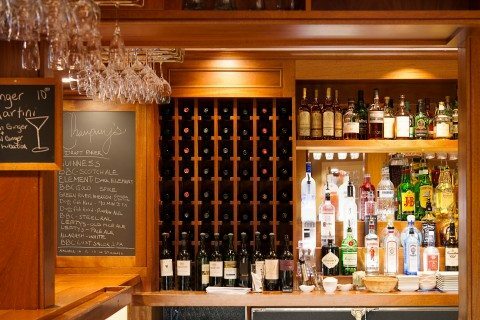 The renovation restored their banquet facilities, expanded the tavern, created a fireplace dining area, and reconfigured their fine dining room. As it is a part of Historic Deerfield, we maintained the traditional and welcoming feel of the Inn while updating interior finishes, lighting, and HVAC systems. 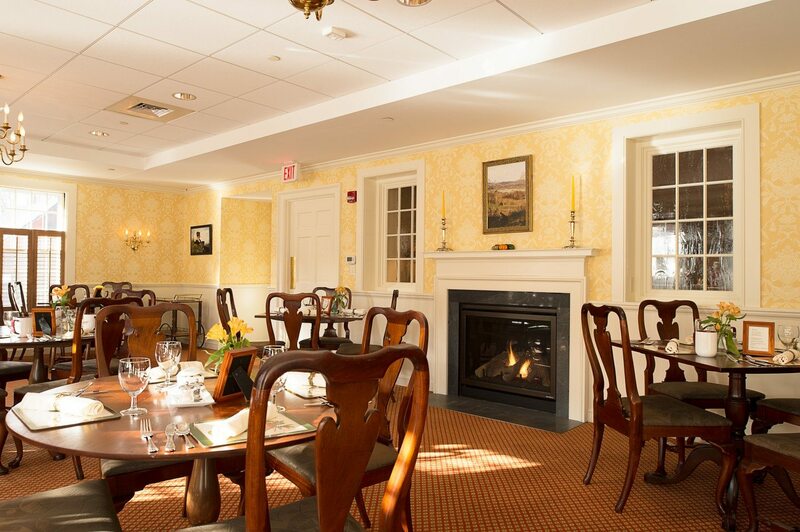 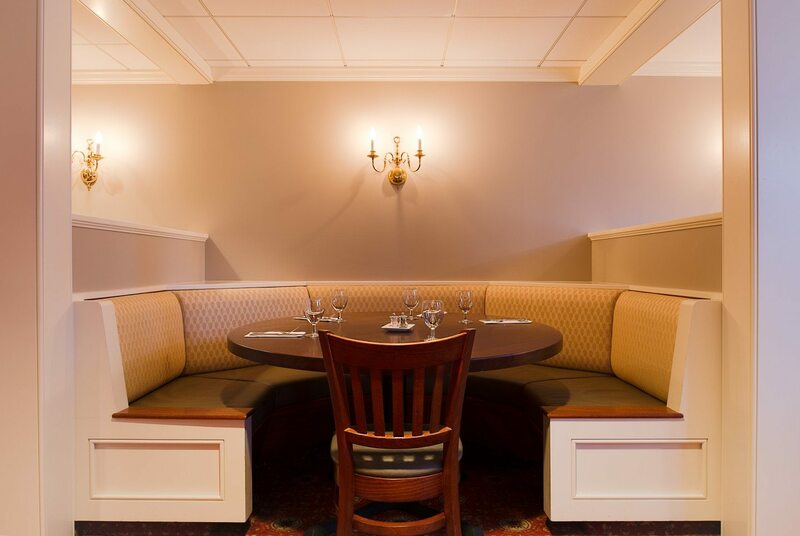 Historically-inspired interiors create a cozy and welcoming atmosphere at the Deerfield Inn located in the heart of Historic Deerfield. A large cherry bar, woven wool carpeting, and hand printed wallpaper invite guests to linger in the dining areas. 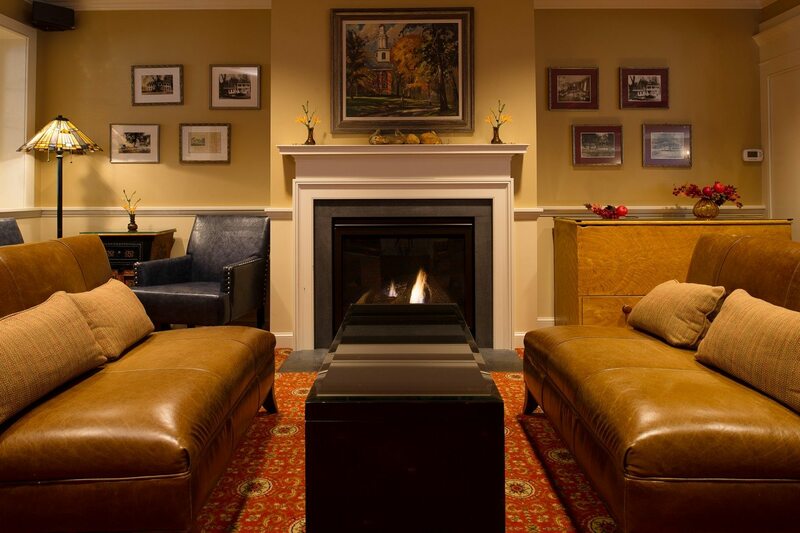 Soft lighting and multiple fireplaces add to the feeling of warmth.